Sears Hillsboro, from the 1936 catalog. A batten front door with a nine-pane window. A fragment on the right side of the house that appears to be left over from a cat slide roof. I wondered, could this be a Sears Hillsboro? Luckily, I uncovered a photo of the house before the renovations. Photo courtesy of the Village of Glen Ellyn. A great match! 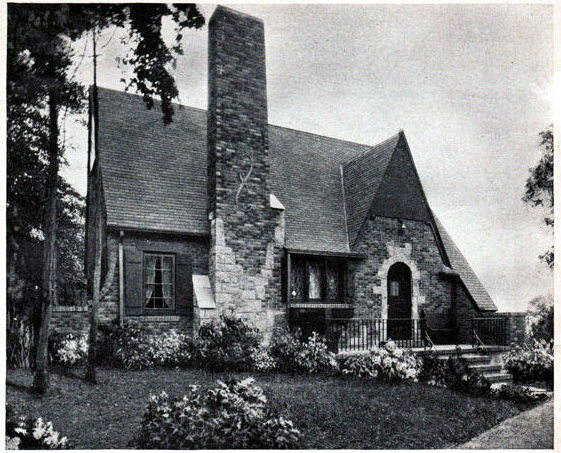 The catalog illustration of the Hiilsboro showed a more severe, pointier front gable than the Hillsboros had in real life. The garage was original to the house. The garage location in the standard floor plan would be accessible only through a rear alley. A garage in the rear works only if there is alley access, and there are no alleys in most Chicago suburbs. 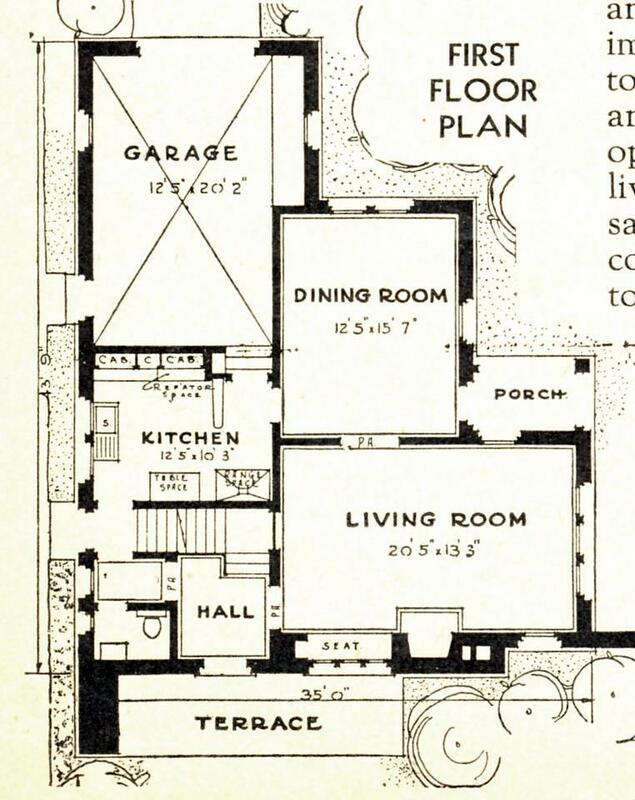 I wonder if a side garage was a standard variant of the Hillsboro plan--there must have been many customers whose lots could not accommodate a rear garage. Milton and Gladys Miller built this Hillsboro about 1936. Milton was a buyer for a mail-order house (Sears?). They relocated to Ohio by 1942. Great eye, Lara! I wish it had been listed for sale, so we could see some great interior shots. I'd like to see how they pulled off the changes, on the inside.